← DM for Kids: Moral Qualms? Over at the lair of the Kobolds, they’ve been running a cool D&D 40th Anniversary series of articles (one, two, three, four…) where they ask various luminaries of the RPG world four questions about their past and present D&D experiences. It certainly makes for some interesting reading!! What was the first edition of D&D you played? 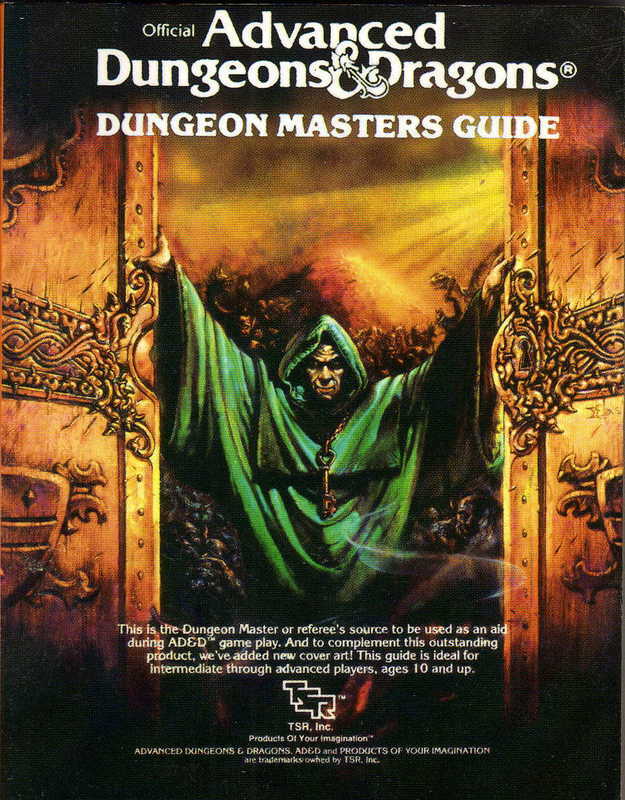 AD&D 1st Edition – I certainly remember the cover on the left. It was 1982 or thereabouts. My friend was mates with a guy a year older, and he invited a group of us round to play Keep on the Borderlands. My first character was a half-elf fighter/thief. It was a bit Monty Haul – within a couple of sessions my friend’s paladin had a Vorpal Blade; I had a Ring of Invisibility, and we were taking over the Keep for our own uses 🙂 I was hooked, but soon wanted to create my own world and run my own game, so started DMing a solo campaign for my younger brother (and thus Tolrendor was born!). Although I continued to play off and on with the original DM through-out secondary school, in various campaigns, most of the time I was DMing. What’s your favourite piece of crunch, fluff, art or text from that edition? Emirikol the Chaotic was definitely my favourite piece of art in the DMG! It just had all the wonder of D&D captured in what was essentially a simple picture. In terms of text/crunch/fluff it was just the whole DMG. I could read it for hours, poring over different sections which just ran together without any fancy layout. Probably ‘The Campaign’ section was my overall favourite. What’s the quirkiest thing about that edition? It’s funny, because when I saw this question, my answer popped immediately into my mind, and I now see that several people answered in a similar manner in the Kobolds columns. At this time, the difference between Basic D&D and Advanced D&D seemed rather arbitrary. 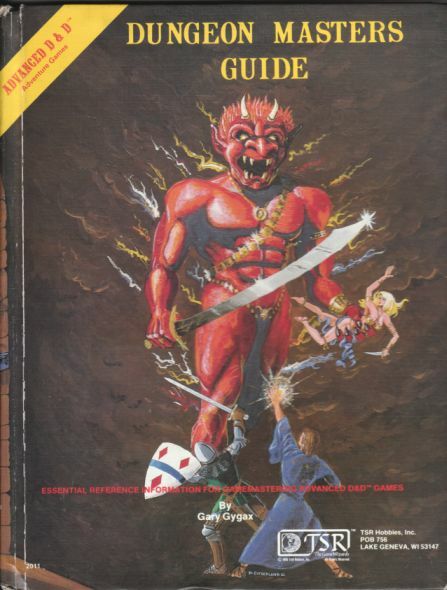 When I started my solo campaign with my brother, his first character was a half-elf fighter/thief/magic-user, which was definitely a AD&D character, but the only rules I had were a borrowed version of the Moldvay (I think …) red book. This didn’t seem to matter at all; I used monsters out of Moldvay and we just got on with it. Eventually I had all the AD&D books, but for quite some time it was a mixed campaign. In those days, it didn’t seem to matter. What flavour of fantasy RPG are you playing now? 4th Edition D&D, which was pretty much coming out when I returned to the RPG hobby after a number of years hiatus. I’ve been enjoying DMing for my kids immensely, and to be honest, I’m a little disappointed that the 4E era is over. I will probably keep playing this edition for a while, as DnD Next so far is not hugely inspiring to me. 13th Age is a game I’m looking at very seriously at the moment; I like the style, and I like of a lot of its concepts. Who knows, it might be the next thing for me? What I do know is that my love of fantasy role-playing and world-building has not diminished over the 30+ years since I started! 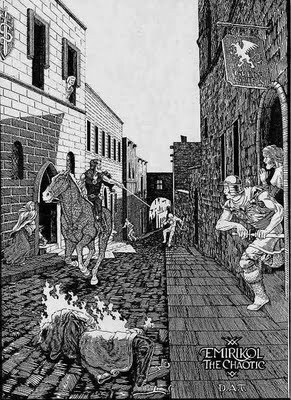 This entry was posted in D&D 40th Anniversary, D&D Nostalgia. Bookmark the permalink. Thanks for the insights. Always cool to hear how other people got into the game.